Take this opportunity to meet with the Editors in Chief to find out about their work in supporting our indigenous languages by developing material that will improve literacy in them and English. 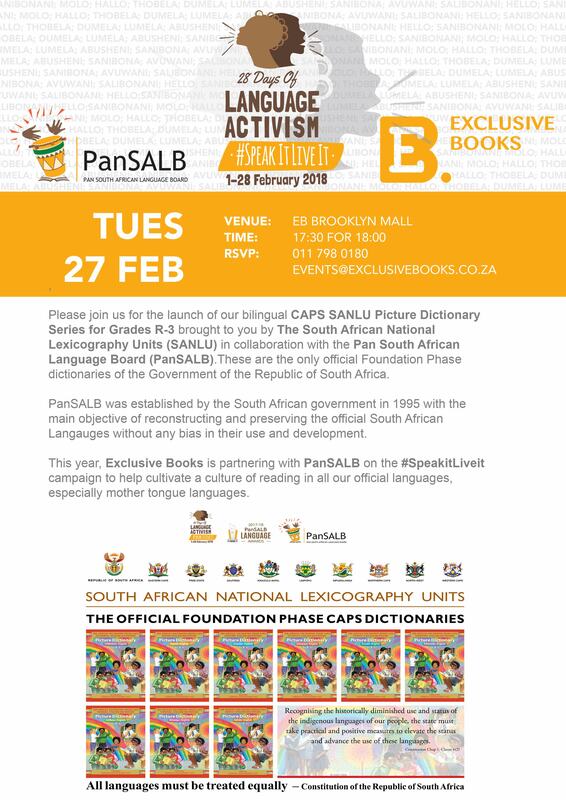 Exclusive Books Brooklyn Mall, Pretoria on the 27th February at 17h30 for 18h00 – the penultimate event in PanSALB’s 28 Days of Language Activism Campaign in 2018. The National Lexicography Units are Government structures Constitutionally and Legislatively mandated to develop dictionaries and other material which will “elevate the status and advance the use of our indigenous languages”. We are further obligated to ensure that “no language is disadvantaged over any other”. The publication of these dictionaries converts the first part of Government’s obligations into practical action which supports the Department of Basic Education, schools, teachers and parents, to improve the quality of literacy teaching and learning among both Home Language and First Additional language learners at Grades R to 3. Dictionary use, rather than their development, will help Government Departments to achieve their Constitutional obligation to our languages. We must all now act to ensure that these dictionaries are made available to schools. Regular dictionary use by young learners will improve their vocabulary and spelling while developing basic reference skills which will aid indigenous language mother tongue speakers to improve their English in preparation for the transfer to English as Language of Learning and Teaching at Grade 4. Speakers of other languages will also benefit by having the support of these dictionaries in learning indigenous languages ultimately creating a more multilingual society. These are the first dictionaries developed for the Foundation Phase by agencies of Government for Government and are an important addition to our current range of higher level monolingual and bilingual dictionaries in all indigenous languages. National reading-for-enjoyment campaign Nal’ibali has teamed up with Yvonne Chaka Chaka for World Read Aloud Day on 24 February, 2016. 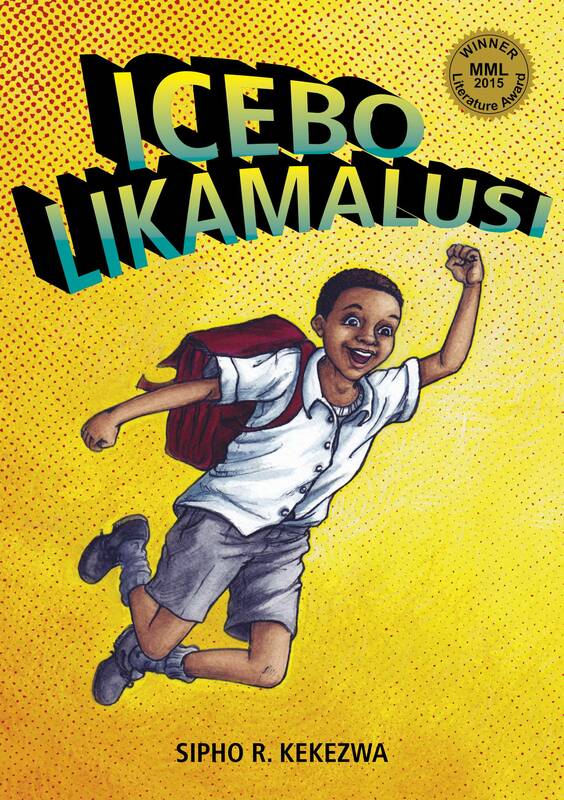 Last year, with the support of hundreds of South Africans, Nal’ibali read aloud to over 166 000 children and it hopes to double or even triple that number this year. Yvonne Chaka Chaka will be giving her own special reading of Neo and the Big Wide World in isiZulu to children at Orlando Stadium in Soweto. In addition, Orlando Pirates Football Club will launch its Reading Stars Programme. 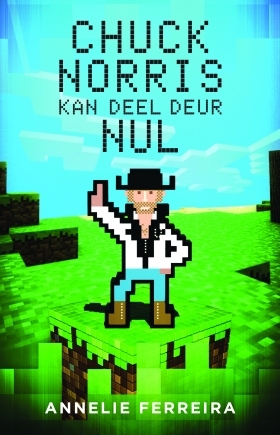 Scroll down to find out more and download the book. Carole Bloch, executive director of PRAESA (the Project for the Study of Alternative Education), a co-founder of Nal’ibali, adds: “The power of reading aloud to children is incredible. Not only is it richly rewarding and enjoyable for any age, it is also the way we establish the foundational, knowledge and motivation young children need as they are learning to read – and indeed for all learning. 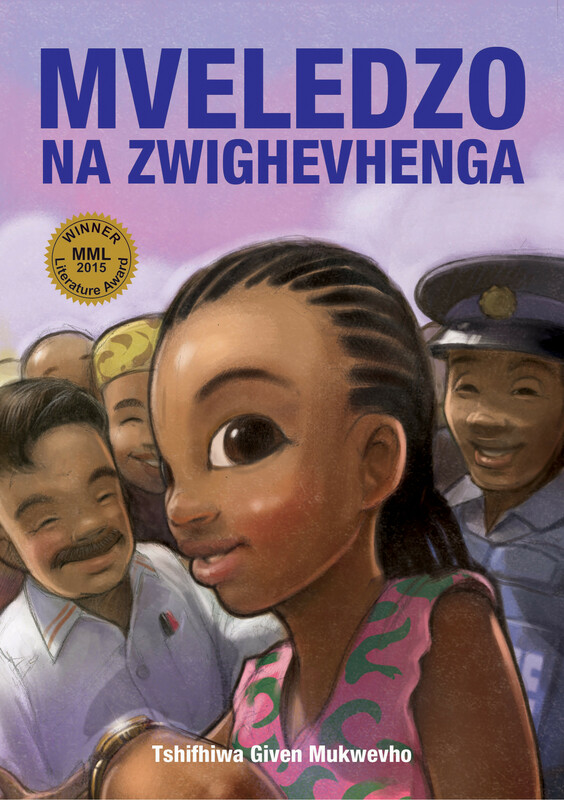 This year’s special story, Neo and the Big Wide World, by Vianne Venter and illustrated by Rico of Madam and Eve Fame, is freely available for download from Nal’ibali’s web and mobisites. Members of the public can also sign up on these sites to share how many children they will be reading to, and stand the chance to win one of four Bargain Books hampers worth R1 000 each! Neo and the Big Wide World is available in all 11 official languages, and a further two: it will be available in Braille in the February edition of Blind SA’s youth magazine, while Sign Language Education and Development (SLED) has collaborated with Story Bosso runners up Kerrin Kokot and Jayne Batzofin to produce a signed video of the story which can be viewed on the Nal’ibali website. The story will also appear in a commemorative edition of the Nal’ibali’s supplement produced in partnership with PRAESA and media partner Times Media. 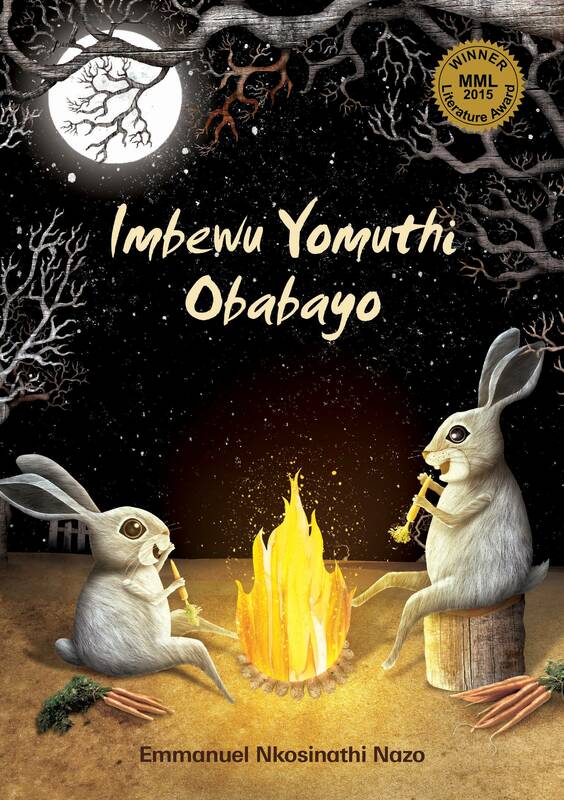 And for a burst of storytelling inspiration, listen to Yvonne Chaka Chaka reading the story in English and isiZulu! Knowledge is power. Where do we keep knowledge? Books! So lots of books means … lots of power! 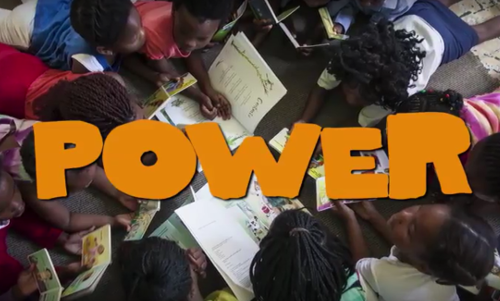 This is the central message of an inspiring new video produced by Nal’ibali, the national reading-for-enjoyment campaign, with which they are launching their call for more books in South African languages. The call is made as part of the Nal’ibali celebration of International Mother Language Day, happening on 21 February. This year’s theme, as selected by the UN, will be “Quality education, language(s) of instruction and learning outcomes”. All children deserve to learn to read, and to be read to in the language that they are most familiar with and comfortable in. In this way their experiences of books and stories become far richer through greater comprehension of the tales within. This is a crucial component in building children’s motivation to read, a desire which we know has significant implications for their future learning success. – Jade Jacobsohn, Managing Director of the Nal’ibali campaign. 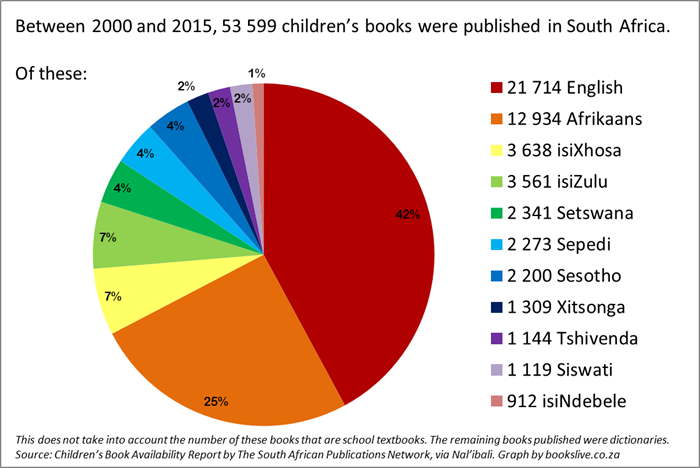 Between 2000 and 2015, 53 599 children’s books were published in South Africa. Of these 21 714 were English (40%), 12 934 were Afrikaans (24%), 3 638 isiXhosa (6%), 3561 isiZulu (6%), 2 341 Setswana (4%), 2 273 Sepedi (4%), 2 200 Sesotho (4%), 1 309 Xitsonga (2%); 1 144 Tshivenda (2%), 1 119 Siswati (2%) and 912 isiNdebele (1%). This does not take into account the number of these books that are school textbooks. The remaining books published were dictionaries. Highlighting the critical lack of books available in all African languages to children in South Africa, Nal’ibali, the national reading-for-enjoyment campaign, has produced a powerful public service announcement that illustrates the breakdown of books available per language and calls for support for African language reading materials for children. The video has been developed in recognition of International Mother Languages Day on Sunday, 21 February. “All children deserve to learn to read, and to be read to in the language that they are most familiar with and comfortable in. In this way their experiences of books and stories become far richer through greater comprehension of the tales within. This is a crucial component in building children’s motivation to read, a desire which we know has significant implications for their future learning success,” explains Jade Jacobsohn, Managing Director of the Nal’ibali campaign. “Without this, many African language speaking children are likely to continue to find learning to read and write a burdensome and difficult task. The accelerated growth and use of a multilingual children’s literature is a sign of appreciation of and care for the cultural and educational interests of all children. It also offers the chance to embrace diversity and grow common understandings”, adds Carole Bloch, Executive Director of PRAESA (the Project for the Study of Alternative Education in South Africa) cofounder and literacy content and quality assurance partner of Nal’ibali. What motivates children to read? Research has shown that choice and relevance are two of the most critical components. When children can choose from a wide selection of books and stories that they understand, inspire them and are relevant to their lives, they are more likely to want to read. However, a recent report issued by SAPnet (The South African Publications Network) shows that of the total number of books published in South Africa between the year 2000 and 2015, 40% of these were in English, 24% in Afrikaans and just 6% in isiXhosa and isiZulu. The remaining official languages were represented with percentages smaller than six. Most notably, the percentage of books for isiNdebele is just 1%*, an alarmingly small portion of books given the population breakdown per language. It is also important to note that these figures do not take into account the number of books that are school textbooks, as this would further reduce the number of books available. “We want our children to grow up to be strong and powerful readers, and to have the best chance of success in the classroom and in the workforce. We need to increase quantity and access to literacy materials in all languages. We need to start by promoting the importance of mother tongue languages and celebrating them,” concludes Jacobsohn. Using languages which people understand deeply plays an important role in social and economic development. African languages must be accorded cultural capital. 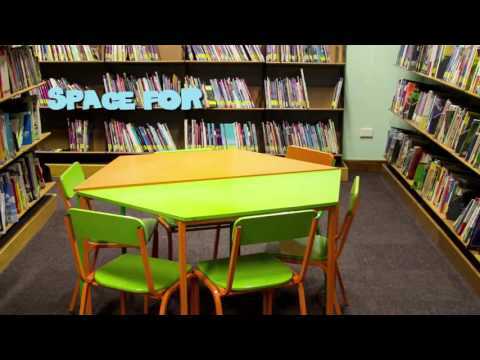 Nal’ibali would like to thank SAPnet and the Cape Town Central Library for their kind support in the production of the video and the Nal’ibali campaign. For more information about the Nal’ibali campaign, to watch the video or to access children’s in a range of South African languages, visit www.nalibali.org and www.nalibali.mobi. You can also find them on Facebook and Twitter: nalibaliSA. Alert! 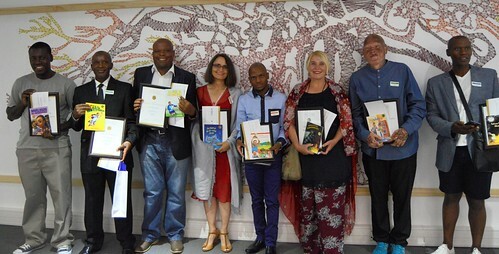 The winners of the 2015 Maskew Miller Longman Literature Awards (MMLLA) were announced at the Pearson head offices in Cape Town last night. 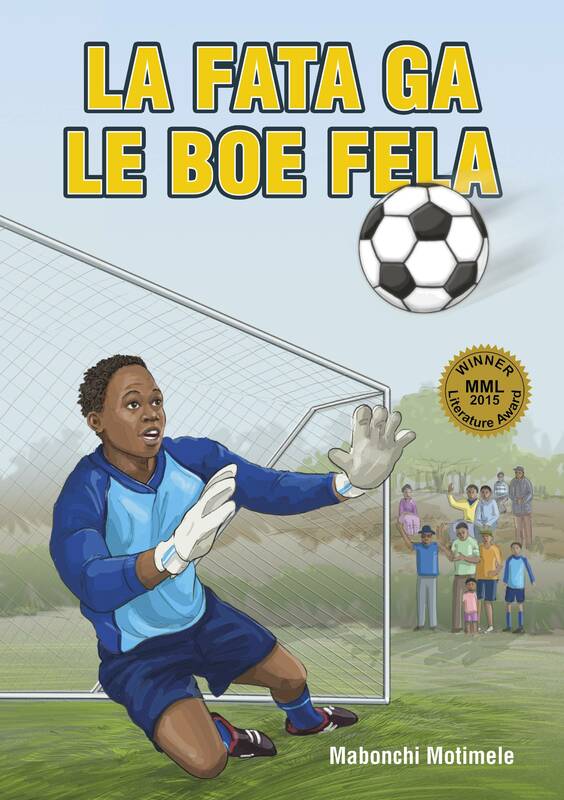 The MMLLA was launched in 2006 by Maskew Miller Longman as their commitment to develop quality literature in all official languages for young readers and to encourage a love of reading in learners’ mother tongue. The competition acts as a platform to encourage and provide support for aspiring writers who wish to produce literary work in the language of their choice. 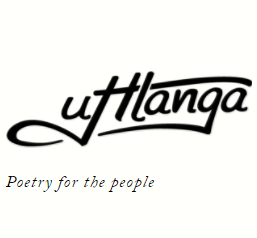 It remains the only literature competition that gives equal weighting to all 11 official South African languages, reflecting the commitment to developing quality literature in all official languages for young readers. The competition explores a different genre each year. 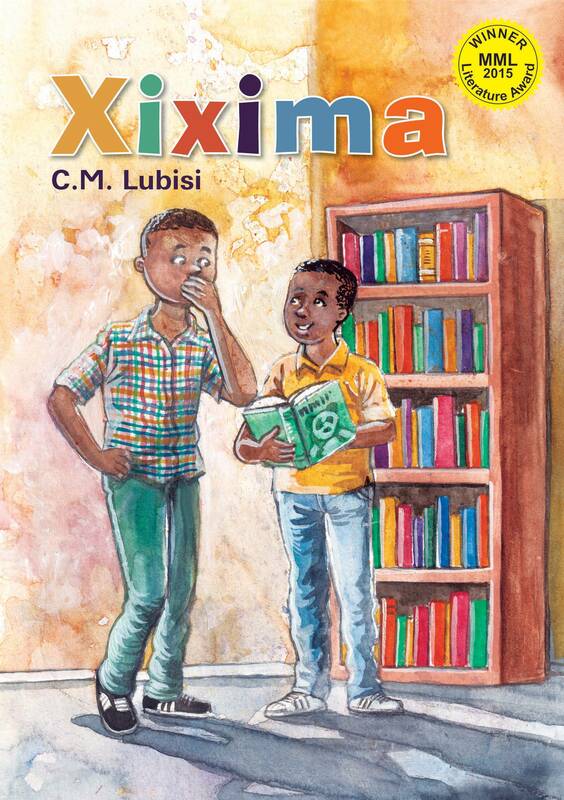 In 2015 a call was made for Children’s Fiction and a total of 122 entries were received, with 50 percent being written in African languages. Finalists include a teacher with a passion for theatre, freelance translator, freelance journalists and writers, a church leader with a focus on the youth, and a community project member who helps children discover nature through art. Among the 8 finalists there are debut as well as multi-award-winning writers. Before the prizegiving, celebrated children’s and young adult author Diane Case delivered the keynote address. 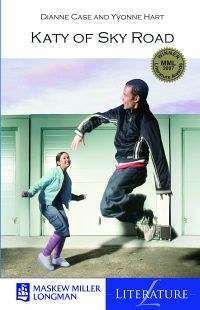 She was the English winner in the MML Literature Awards 2007. Spending time with children, which is something she does often as a very active grandmother and involved community member, and her own childhood memories inform Case’s emphatic stories. She shared many touching anecdotes to give examples and stressed throughout her address that “children are not stupid”. 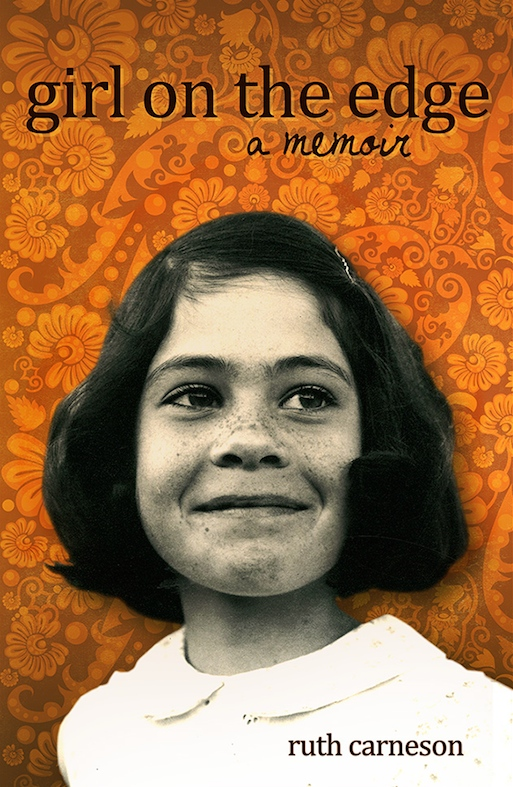 Through witnessing kids’ reactions to not only her stories but other South African narratives too, Case has found enough evidence to say with authority that localised stories – especially those told in a child’s mother tongue – make children feel relevant and help them to articulate their South African world. Her books tend to create empathy in readers and offer a glimpse of what life was, and in some respects still is, for many people in South Africa. Her first novel, Albatross Winter, was published by Maskew Miller Longman in 1983. After Case’s spirited address, Brian Wafawarowa, Pearson SA Executive Director for Learning Resources took the stage to announce the winners and present them with their books, hot off the press. Pearson South Africa will host the Maskew Miller Longman (MML) Literature Awards on Wednesday, 25 November 2015, 17:00-21:00 at its Auto Atlantic Office in Cape Town to announce the winners of this national literature competition. Annually, Pearson invites experienced, new and aspiring writers to submit their original, unpublished stories in their mother tongue to develop quality literature in all of the official South African languages. The competition judges had the difficult decision of selecting only 8 finalists, from hundreds of submissions received for children’s stories aged 9 to 12. Many of whom work in other industries unrelated to writing and awarded them the opportunity to follow their passion and see their dreams realised. In support of the writers, Pearson hosted a free writer’s workshop in February 2015. The workshop was hosted by Niki Daly, renowned author and illustrator who is respected in the industry for his contribution to children’s fiction and art. The 2014 MML Awards Tshivenda winner, Khalirendwe Nekhavhambe attended and workshop and remarked that it had provided her with invaluable knowledge and skills that left her feeling empowered, motivated and confident as a writer. Award-winning South African author, Dianne Case will be the guest speaker at this year’s Awards ceremony. She has written several successful children’s books. A prize of R7 500 will be awarded to each winner and will be considered for publication by Pearson. A prize of R3500 will be awarded to each finalist. Next year the Maskew Miller Longman Literature Awards will celebrate literature for teenagers. YA authors of all South African languages, start writing! Keep an eye on Books LIVE for information on how you can enter. Tshifhiwa Given Mukwevho, author of A Traumatic Revenge and The Violent Gestures of Life, has started serialising his Tshivenda novel, A Thi Nga Tendi, on Facebook – and the response from readers has been overwhelming. Mukwevho shares an excerpt on the A Thi Nga Tendi Facebook page every morning, and has amassed over 1 300 fans in quite a short period of time. Initially he posted extracts of 600 words, but had to increase them to 1 000 words, by popular demand. The Limpopo-born author is an inspiration; a former streetkid and ex-prisoner who has turned his life around through writing. Books LIVE’s Jennifer Malec chatted to him about his new project, ‪#‎LetsReadOurOwnBooks‬. Books LIVE: What prompted you to start a Facebook novel? Was it the ease of publishing the story, or is it an experiment in how free literature could work? Or was there a different reason? 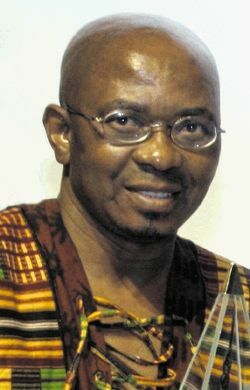 Tshifhiwa Given Mukwevho: As a writer, the whisperings and chief voice follow me wherever I go. At times I may try to ignore the voice or else postpone writing due to some pressing work but the voice keeps singing in the backroom of my mind. And when I can no longer contain the loudness of the voice, all other matters have to stop and I sit down to write. So the novel was prompted by the urgency I felt to share the story with hundreds or even thousands of Tshivenda readers, who would not have accessed and enjoyed this novel had we had to wait for publishers to accept the manuscript, print it and make it available to prospective readers. At some stage I was made to believe that no young people like me could write literary matters in Tshivenda because it is not easy to do. I received discouragement such as only the old could write; youths lacked the knowledge and writing tools to produce passable, publishable writings. And I say that has been proved wrong. When I was awarded second prize at the Maskew Miller Longman Literature Awards 2014 in November last year, I knew then that I was moving on the right track. Making a novel available to Tshivenda readers on the platform of Facebook is another way of testing the readership. 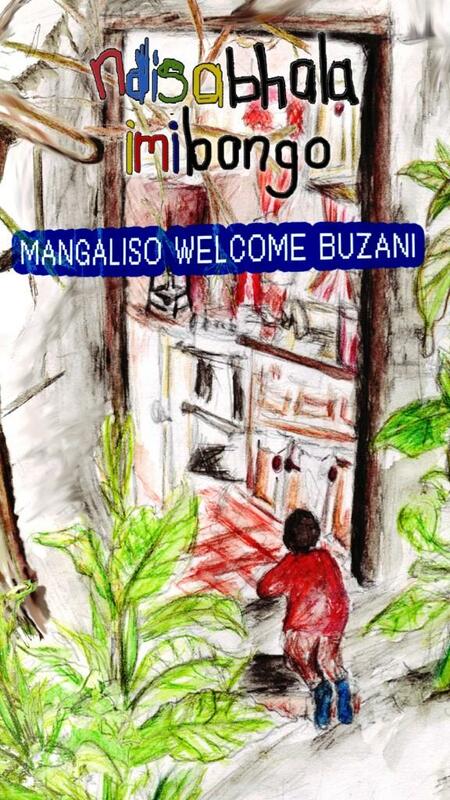 So, with the page A Thi Nga Tendi, well, I knew both teenagers and adults needed to read the story and so after writing the full-length novel, I decided to share it with readers on Facebook. I have never published anything in Tshivenda before, I mean the kind of work which received any honest criticism. For non-Tshivenda speakers, can you explain what the story is about? A Thi Nga Tendi tells the story of a 17-year-old girl named Portia who gives birth to a baby boy and throws him into a pit toilet. Unfortunately the child dies, Portia gets arrested and sentenced to jail for some time. Her reason for committing such a dastardly sin is that her boyfriend had denied paternity. 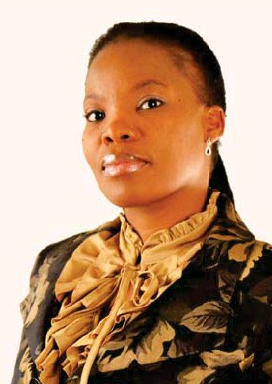 Portia’s mother, who had seven children from seven different fathers and never killed any of her paternally rejected kids, is disappointed at Portia. She rejects her for life, reminding her that she had supported and advised her throughout her pregnancy to be a good mother. 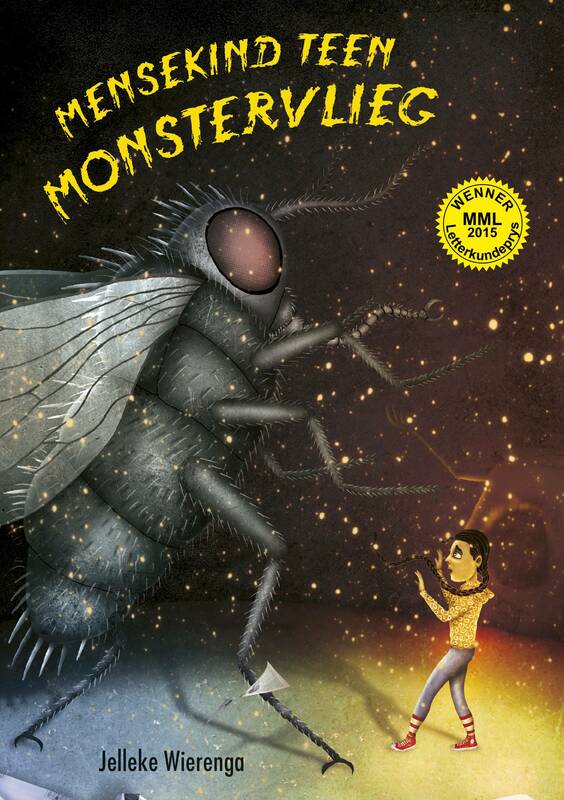 In this novel, I am by no means trying to paint men as monsters who reject their children. But I’m looking at questions such as what happens to children born from extra-marital affairs? Do the fathers, in all cases, properly get involved in raising the kids – don’t some of them run away and seek pleasure in other women? 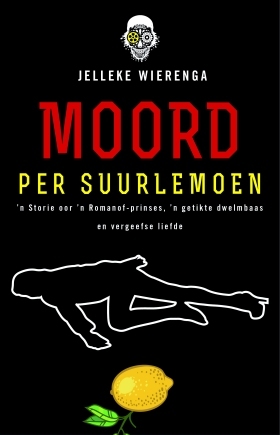 Was the novel inspired by any real event? Did you plan the plot before starting the Facebook page or are you creating the story as you go along? The novel is about 93 percent complete, if that makes sense. And the pressure is seemingly on me to continue writing and posting a chapter or half a chapter each morning, as if it were a soapie series. And that in itself is not going to happen. This novel will eventually come to an end like when you read any hardcopy novel. And this is going to anger a lot of A Thi Nga Tendi followers. What kind of reaction/messages have you had from readers? Readers love literature that speaks directly to and with them in their language. 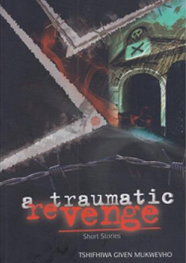 They give honest praise, criticism and comment on the plot and some events within the storyline. Their comments taught me that writers need not underestimate readers. Do you have a lot of experience writing in Tshivenda? How is it different, for you, from writing in English? I had written some work in Tshivenda before, but had not published anything. 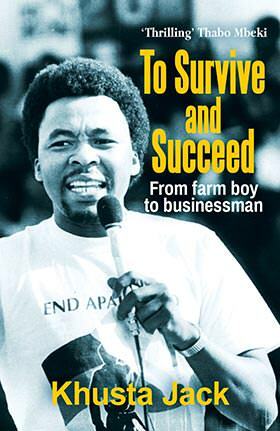 However, readers comment that my Tshivenda is excellent and accessible. So, today I am confident to say that I am becoming more of a writer the more I continue to write in Tshivenda. I am not sure about the difference or quality parity between my Tshivenda writings and English writings … only time will tell. Is writing in Tshivenda technically different from English? It’s not that much different. But then if you have ever published something in English before, like I have, you may find it hard to deal with Tshivenda editors who will be mixing up your dialogue with prose in a way that messes up your work. 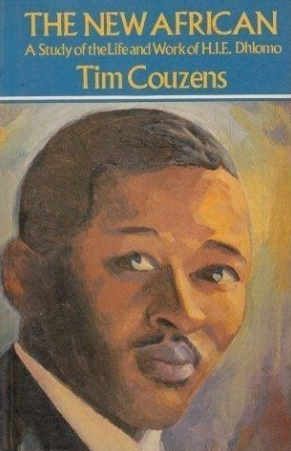 What are your favourite Tshivenda novels? There are a number of contemporary novels and plays I have enjoyed so far: U Nembelela Ha Shamba by ET Mudau, Vhuanzwo by Rudzani Tshianane, and many more. Somehow I am deeply intrigued by Xitsonga literature; there’s hardly euphemism in their writing. Have you had any contact from publishers or the media (apart from us) about the project? International Dictionary Day is celebrated annually on 16 October, which is tomorrow. This day was established in tribute to the famous American dictionary writer, Noah Webster, who was born on 16 October 1758. He is heralded as the father of the modern dictionary. The South African National Lexicography Units, one for every official South African language, will be celebrating this important day – and the importance of dictionaries in general – by starting the release of no fewer than 13 new or revised editions of indigenous language monolingual, and indigenous language bilingual dictionaries. By the end of November all 13 new dictionaries will have been published. The Lexicography Units were established by the Pan South African Language Board (PanSALB) in 2001 to focus on lexicography and terminology development in South Africa, their task being to compile monolingual explanatory dictionaries and other products to help with language development. Each unit is managed by a board of directors and registered as a Section 21 (not-for-profit) company, which allows the unit autonomy to raise funds to carry on its work. 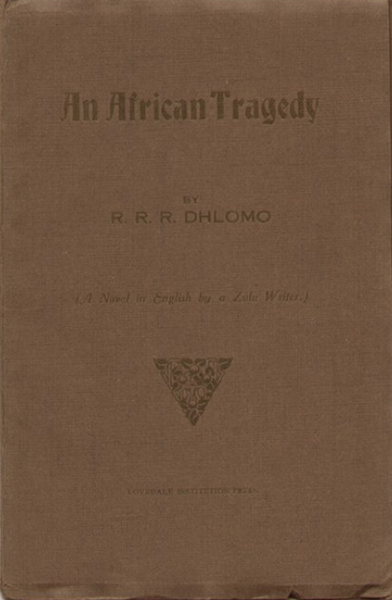 The eleven South African National Lexicography Units (one per official language) are the structures of state Constitutionally and Legislatively mandated, in the case of our indigenous languages, to produce dictionaries and other material that will “elevate their status and advance their use”. While the Units are national entities they are based in the province or provincial district in which their language predominates, but the result of their work benefits all speakers and learners of the language no matter where they reside. Launch and maintain an awareness creation programme to inform the public and all government departments and agencies, including schools and tertiary education institutions, of the Units, their work, achievements and our new publication development plans. Persuade the above agencies to implement and use our dictionaries, and to involve them – - in particular Government’s other indigenous language support and development structures, tertiary institutions, National and Provincial Departments of Education – in revisions of existing dictionaries and the identification of new projects which will elevate the status and increase the use of our languages. Remind Government agencies of their Constitutional obligation to our indigenous languages and persuade the private sector to play an active role in this regard. Co-ordination of the Units book development activities ensuring that no indigenous language, on the basis of having fewer speakers, is disadvantaged over any other language. Our national awareness campaign was launched about five weeks ago and saw the attached poster, together with a covering letter, being distributed to all Honourable Members of Parliament, the NCOP and as of today six of our nine provincial Legislatures. The response has been most encouraging and we hope for a similar response from both government and the private sector. We are pleased to announce that between International Dictionary Day – 16th October 2015 – and the end of November 2015 no fewer than thirteen new or revised editions of indigenous language monolingual, and indigenous language bilingual dictionaries will be published. A further two dictionaries will be available early in 2016. 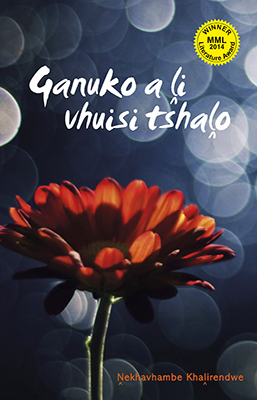 It is the largest publishing event of its kind ever undertaken in our indigenous languages. Alert! Books LIVE can exclusively reveal the nominees for the 10th annual South African Literary Awards (SALAs). The SALAs honour writing and writers in all official languages across 10 categories, and include the K Sello Duiker Memorial Literary Award, the First-time Published Author Award and the Nadine Gordimer Short Story Award. The SALAs were founded in 2005 by the wRite associates and the Department of Arts and Culture. This year, Antjie Krog, Achmat Dangor and the late Thokozani Mandlenkosi Nene will receive Lifetime Achievement Literary Awards, while RRR Dhlomo and HIE Dhlomo will receive Literary Posthumous Awards. Michele Magwood of the Sunday Times will receive the Literary Journalism Award. The SALA ceremony will be held at the Tshwane Events Centre on November 7, 2015. Celebrating 10 years of growth and exhilarating success, the South African Literary Awards (SALA) will honour over 10 South African authors at a celebratory awards ceremony to be held at Tshwane Events Centre, Tshwane, Gauteng Province on November 7, 2015. The prestigious South African Literary Awards were founded in 2005 by the wRite associates, in partnership with the national Department of Arts and Culture, as a platform to honour authors, writers, poets and literary practitioners who made and continue to make a contribution in the literary landscape in South Africa. More than 100 luminaries have been honoured over the last decade, among them Nobel Award winner Nadine Gordimer, multi-award winning novelist Kgebetli Moele, literary journalists Bongani Madondo and Sabata-Mpho Mokae, poet Kobus Moolman, book critics Karabo Kgoleng and Jenny Crwys-Williams, short story writers Makhosazana Xaba and Reneilwe Malatji, scholars and prolific writers Zakes Mda, Mbulelo Mzamane, Ashraaf Kagee, Nhlanhla Maake, Imraan Coovadia, translator, poet, novelist and children’s writer Chris van Wyk, and many others. The list of nominees reflects the transformative nature not only of SALA, but the country’s literary community. The potpourri nature of the country provides a canvas on which writers manage to paint beautiful pictures without needing to look over their shoulders. As writers are given an equal opportunity to contest any of the awards categories, this year’s winners reflect that elevated state of South African literature, which has seen some of the local works adapted into screen- and stage-plays. South African literature is, indeed, on an upward spiral. The SALA has grown in leaps and bounds from when it started with only one category: the National Poet Laureate Prize and later followed by the Lifetime Achievement Literary Award, bestowed on luminaries across the land. This year’s instalment will be outstanding and celebratory, as SALA will be preceded by a one-night live show, titled “AfreeLitMarts”, must-see exciting expertly choreographed multimedia live performance comprising music intersecting and interspersing storytelling, poetry, other literary performances, live painting, art, book, exhibitions and more. 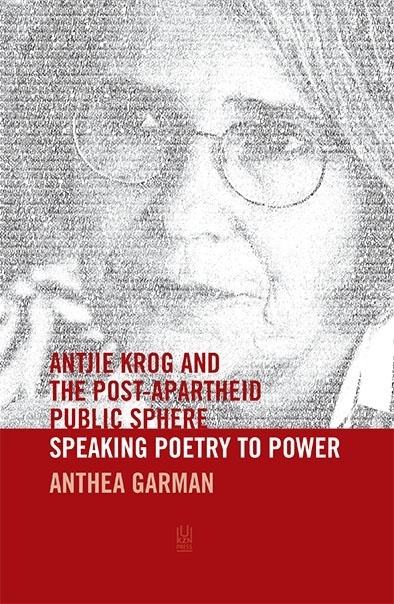 Poet, author and activist Antjie Krog delivered the keynote address at the 2015 Sunday Times Literary Awards on Saturday. She made a call for white South Africans to perform an act of radical outreach, similar to that of Nelson Mandela 20 years ago when he donned Francois Pienaar’s jersey at the 1995 Rugby World Cup. Krog made various statements which drew spirited reactions from the crowd – some not as positive as others (scroll to the end to see the reaction on Twitter). Allow me tonight to open with an incident from Country of my Skull. During a public meeting with the then Minister of Finance he was asked whether there was a post-Truth and Reconciliation plan to get from whites what was needed to repair the past. He answered: even if we take everything whites have, it will never make up for what they did. What we need, to address inequality is a 6% growth rate. This was of course the truth. Nothing could ever repair the damage of three centuries. But in another way it was also a mark of a general unwillingness by all of us to do some complex thinking. With the wisdom of hindsight one wishes there had been a Rhodes Must Fall group to ignite a proper conversation on the consequences of not changing our world. What was it that black people desired after apartheid? What were the outlines of their dreams? Also, what was the biggest challenge: establishing racial equality and then attending poverty? Or a drive to reduce poverty through various mechanisms of which a crucial one was race. It would have been important for whites then to have heard the conditions under which they were to be accommodated or rejected: we don’t want whites here; or: we want whites, but only poor ones – or only rich ones; or: we want whites willingly to take responsibility for everything that fails; or: for three centuries the country has invested its best and most powerful resources in you, so for three generations you will use your accumulated skills, knowledge and resources to eradicate for ever the Verwoerd education system, or mend the distorted transport system, or build an appropriate health system; or perhaps even: every white should report to a township school and assist with rendering services from cleaning toilets and safeguarding buildings and people, to teaching and marking as and when necessary. However problematic or unpractical these suggestions might sound, they would have focused all of our minds on what kind of society we wanted to live in. And what we were willing to pay for it. Hurrah for revolution and more cannon-shot. How many Afrikaners assumed that they could raise their children and grandchildren in a ghetto of ethnic privilege and language, avoiding everything that had to do with the continent they so blithely named themselves after? Did whites really think that setting matters right stopped at charity, NGOs, philanthropy, paying domestic workers more than a living wage and allowing a black middle class to grow? At this post-Marikana stage it is perhaps time to speak frankly – to engage in brutal public conversations. It is especially time for anger. I respect anger. Anger is often where important change begins. Not the anger of destruction, but the anger which brings clarity of direction and resolute lucidity. When someone in anger says: “We must kill the whites … ” it is important to hear real responses: and then what? Or: how? OR more importantly: on what principle? This is not to play around irresponsibly with fears, rage and desires, but to bring into the open what is being murmured under angry breaths, what festers in horrific killings, emotional repression and violent neglect of human dignity. It is time to discuss and argue these things. How do we get to radical change? How will the means influence the outcome? If there are race-killings, expropriations, squattings as a consequence of unrelieved poverty and dashed expectations of change – what will happen? And who will care enough to start dealing with the root causes and wounds? Recently a comprehensive research project was done on racism on campuses. An interesting element was that apparently all the students, irrespective of colour, expressed a desire to move: ‘beyond race’. Yet, the moment they themselves begin to talk about their circumstances and dreams, they fell back into old apartheid categories. Thus one of the conclusions is that we are not enabling students to move beyond the racial lexicon of apartheid. The irony, as Neville Alexander noted: is that those born free from racial classification are now forced by government practice to classify themselves when filling in forms as white, coloured, black or Indian. In the absence of a plan to get what is needed from whites and the absence of new content to the pronoun ‘us’, a question: what would most South Africans older than thirty two, respond, when asked to name a visual image which brought home like a thunderbolt the profound moment of radical change? 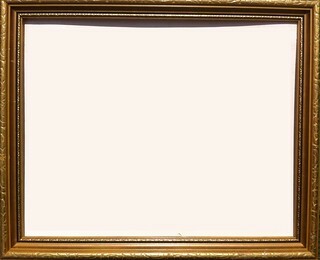 But as they ask in IQ tests: what should the next frame look like? In the first two images, outreach is from the black side. Personally I want an image showing whites in an equally radical act of outreach. After the TRC there was intense hope for a White Prince of Reconciliation: a powerful not-guilty white man to say: on behalf of all whites, I am sorry, we want to build with you a new society of sharing, tell us what to do. That never happened. The Home For All campaign, eliciting tons of scorn and ridicule, barely raised eight hundred signatures, so after twenty years the third frame is still empty. And yet, many whites are doing things. Enormous things. Small things. Wonderful things. (So do black people, but the frame needs the input from whites!) Many people, old and young, are being assisted by whites, many lives are being saved, talents nurtured and sponsored, and every person assisted is a person assisted, whatever the motives or the affluence from which it originated. So why don’t whites have an image to put in here? Is it just bad PR or is it that charity and aid often immobilise efforts of radical change while simultaneously allowing government to blissfully ignore the poor. But whites working shoulder to shoulder with blacks, as equals, as partners, as fellow citizens, could present an image of a sweeping paradigm shift able radically to change the South African landscape for the good. But what should blacks and whites be doing to psychologically complete the visual frame series inspirationally? Let’s have phone-ins with plans and a referendum choosing among them. Because what was promised in 1994, didn’t happen. A systemic fault line prevented the momentous emblematic political transformation from being complemented by an equally momentous emblematic socioeconomic transformation. Was everybody so caught up in placating the interests of capital that we assumed that it was enough that affirmative action was meant for those already employed and BEE for those mixing with the elite? How on earth could we think this was ethically correct? Or that it will hold? In one’s frustration one is pushed to imagine whether the empty frame calls for a two year Radical Reconstruction Period in which all energy, all resources and every South African is used in order to achieve massive structural change. The image that comes to mind is of a particular kind of scrambled egg, one made after the yolk and white has been fried hard. Everything is put on hold, salary increases, price increases, even the constitution is used to take us towards systemic changes, until the collective spatula has cut the whole lot to pieces for a proper, fairer mix. Will that do the job? First a step back. Ten years ago I felt that all land should be nationalised. Then one could say: the land truly belongs to all the South African people, all of us; those on farms merely have leasehold. But with the current set of leaders it seems problematic to execute any plan demanding of clear ethical thinking, selfless motivation and moral example. Every week there are problematic responses to headline issues. One remarkable example is the open letter of President Zuma to Mozambican writer Mia Couto saying that the government is driving a campaign to tell South Africans not to kill other Africans as they assisted the ANC in their struggle against apartheid. Does the President notice that he implies that those who did NOT actively support the ANC in exile – the Somalians, the Moroccans, the PAC-supporting Zimbabweans – are fair game? Listening to ANC politicians and spokespersons is often like entering an ethical desert where all life is centred on riches that will dawn like a lottery win on individuals doing the protect Zuma-tapdance. The poor suddenly have to become entrepreneurs. The rhetoric of freedom and justice has evaporated into increasingly shabby talk about a developmental state, while the examples of leaders suggest freedom from apartheid means freedom to shop and especially freedom not to be accountable. 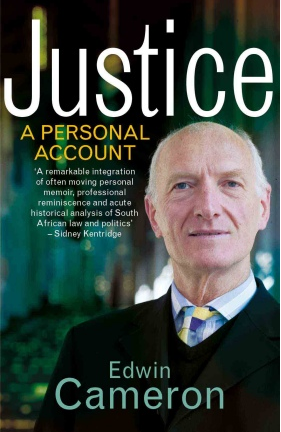 When last did we hear anybody talk about a just society, a better life for everybody, suggesting that enough was a feast? In strikes and wage bargaining one seldom hears the words: justice, fairness, empathy. And why would we – being bombarded by the vulgar excesses of celebrity life and vainglorious luxury on television, billboards and magazines only acknowledging the right to consume? To return to the Rhodes Must Fall group: it has surely done well to create awareness of the need to face issues; of the kind of activism that understands the importance of thinking as a form of collective activity. But precisely for that reason, and because collectivity can humanise a space, it is important to press for clarity of thought to educate us all. Are they teaching us that to reject Rhodes solely on grounds of his racism is implicitly to endorse the inequality, exploitation and state violence of the present? 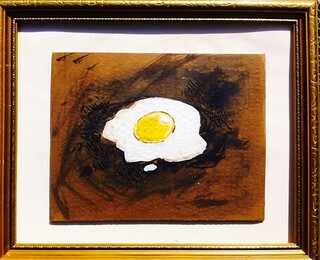 But let us return to the seemingly impossible image of the hard fried egg that needs to be scrambled. The essence of colonialism is space – the expropriation and personal consuming of space. The colonial and apartheid worlds were worlds divided and dividing. Therefore decolonisation must mean the making whole, the recreation, reappropriation and reconfiguration of space. It means more than simply eradicating the lines of force that keep zones apart; it requires fundamental social and economic change. For example: during this suggested two year Radical Reconstruction Period all suburbs and farms are given two years of free range to scramble themselves. Every house in the suburbs should be confronted by the fact of shackness, every park filled with squatters, every street with vendors. Every home and land owner, every suburb, every farm free to negotiate a living space with whomever moves in. Liberation remains incomplete when the colonial or apartheid city is not reorganised, but simply taken over. A ban should be put on changing the name of any town/street/space before that community has fundamentally, practically and collectively prioritised the poor. Those who finish their studies, and those who have retired, should work for a year in the town or city of their birth to remove backlogs and shortages in courts, hospitals, schools, administrative offices, infrastructure support, corruption investigations, child care etc. For no salary. The town will provide food and a place to sleep. We are facing a disaster in the absence of a crucial social unifying vision of a humane society. The times are pitiless. No vision is coming to save us. Let us dirty our hands with the tactics of the kind of communality needed to create openings into which new rhythms, new language and new modes of being human can be poured. We did it once. We surprised ourselves in doing what was not thought possible (a political transformation despite our historical and current political context). The times are demanding from us to do so again: bringing about the impossible: an economic transformation despite a neoliberal context and rotten leadership. And in order to pull it off, we need to have all the conversations, deferred from 1994, with as much courageous imagination, new vocabulary and wild dreams as possible. Read some tweets sent out during Krog’s speech:. Antjie Krog's keynote address at this evening's #STLitAwards reminded me why I so love to write and read and read and read. Antjie Krog: Post-Marikana it is time for frank discussion, for anger. "I respect anger. Anger is often where important change begins." So little coverage of Antjie Krog's speech at #STlitawards? White & black elite don't like talk of radical redistribution in their midst. Alert! 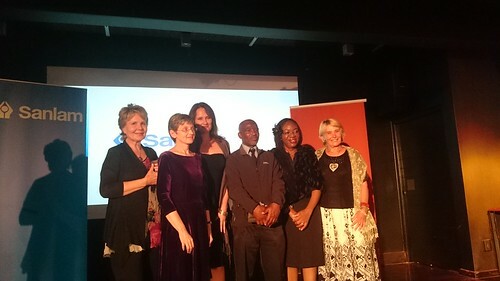 Tafelberg and Sanlam announced the winners of the 2013 Sanlam Prize for Youth Literature at an event held at the Inner City Ideas Cartel in Cape Town last night. Hosted by Katlego Maboe, the charismatic Expresso Show presenter, the evening was a true celebration of reading and the importance of books. In her address, NB publishing manager Marga Stoffer stressed this point, quoting from Jane Austen’s Northanger Abbey: “It is only a novel … or, in short, only some work in which the greatest powers of the mind are displayed, in which the most thorough knowledge of human nature, the happiest delineation of its varieties, the liveliest effusions of wit and humour, are conveyed to the world in the best-chosen language”. Louw added that despite the facet that most of those languages have less than 10 000 speakers, this literature competition “celebrates and honours our own 11 languages, so we are doing our bit here in South Africa in acknowledging the importance of linguistic abundance”. Louw went on to explain why Sanlam, a global financial services company, chose to invest in youth literature: “Our association with a sponsorship such as this is not by chance. Ever since our inception as a company we’ve had a purpose of building a better world and enabling people to live their best possible lives.” He expressed Sanlam’s sincere appreciation of the authors and Tafelberg for joining them in encouraging young people to read. The competition attracted 75 entries in all official languages. Two winners were chosen in each category: English, Afrikaans and African Languages. These authors were notified in February that they would be published in October, but were not told whether they won silver or gold. After the announcement of the respective winners the audience was treated to short trailers of the books, impassioned acceptance speeches and a video of a teenage reader reviewing the book in question. This prestigious competition, which produces the most esteemed prize for youth literature in South Africa, happens every second year. A call for entries for the 2014/15 prize will be made soon, with the award to be handed over in 2015. Tsireledzo Mushoma, gold winner in the African language category, said in her acceptance speech: “It gives me motivation to write stories for children in Venda who otherwise might not hear the kind of stories we need to tell them.” Jelleke Wierenga, silver winner in the Afrikaans category, thanked Sanlam and NB for having enough trust in the reading desires of young people to continue with this project (which has been going for over 30 years). She called on those present to encourage a “leeslusrevolusie” and to nurture knowledge hungry teens. The evening ended on a high note, with some of the authors joining the teens invited to the event in a jolly dance, celebrating these new publications. “Sanlam is in the business of planning for tomorrow. Through this sponsorship we honour the wordsmiths for their deep commitment to taking their talent and turn that into award winning literature that will be enjoyed by millions of South African young people as part of our investment in their futures,” says Elena Meyer (Senior Sponsorships Manager at Sanlam). The total prize money amounts to R54 000: R12 000 for the winner (gold) and R6 000 for the runner-up (silver) in each category. 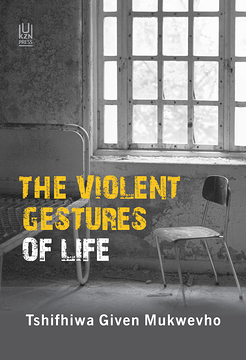 The Sanlam Prize for Youth Literature is awarded every second year, and was launched in 1980. 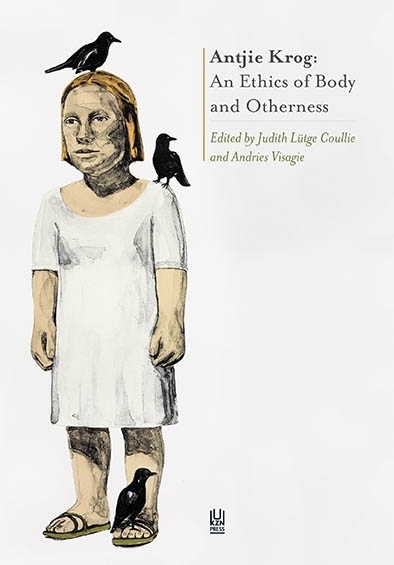 A panel of readers compiled a shortlist of 18 manuscripts which were then judged by representatives from the educational and trade book sector, librarians and academics. Manuscripts are judged anonymously so that debut writers are able to compete against established authors. Past winners of this prize include Darrel Bristow-Bovey, Barrie Hough, Kabelo Duncan Kgatea, EDM Sibiya, Chris Karsten and Marita van der Vyver. The prize-winning books will be available in bookshops and in e-book format from 1 November. 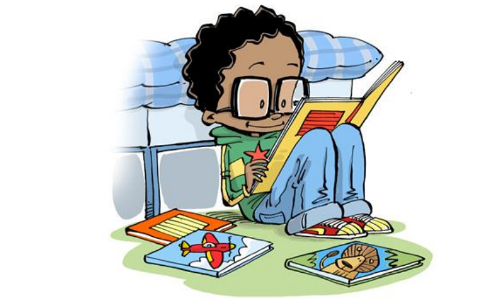 To celebrate International Literacy Day today, the Nal’ibali reading-for-enjoyment campaign has joined forces with Mxit Reach to launch a literacy app. Mxit Reach is a division of Mxit, a mobile social networking platform, dedicated to free mobile educational, health care, agricultural and community applications, and has five million monthly users. The app, which is available to anyone with a mobile handset, including non-smart feature phones, enables users to receive stories or motivational tips in a language of their choice. It also contains a story library, including audio book and literacy quizzes, and a virtual reading club section where users can share their book reviews. To encourage meaningful engagement, users can earn points and other rewards by completing stories and submitting reviews. 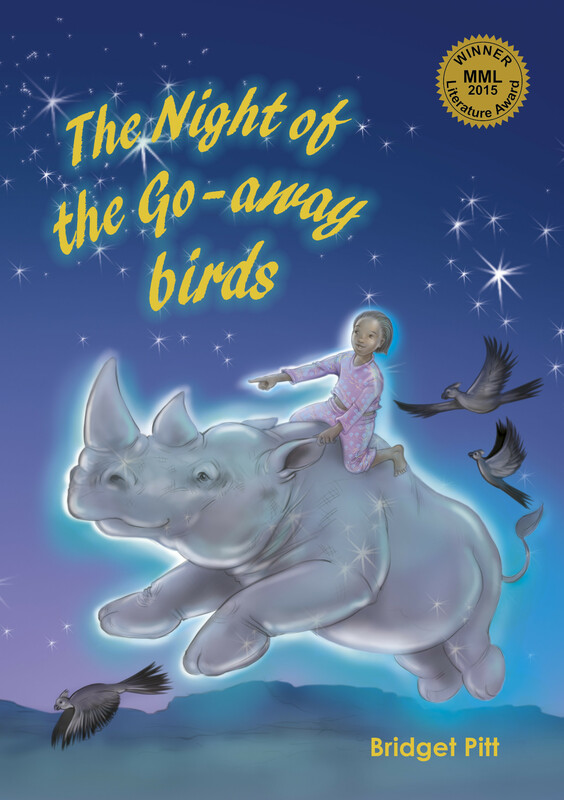 Carole Bloch, director of the Project for the Study of Alternative Education in South Africa (PRAESA), which is driving the Nal’ibali campaign, says a love of reading must be initiated at home, preferably in a child’s home language. “Research shows that being told stories and being read to at home are the things most likely to help make children successful learners at school,” Bloch says. “Stories, particularly when read or heard in home languages, help children develop their language skills and imagination as well as their thinking and problem-solving skills. But not all South Africans have access to children’s books and stories – particularly in their mother tongue. Adults are encouraged to sign up for the app with their children, as literacy development is most successful when stories are read and enjoyed together. 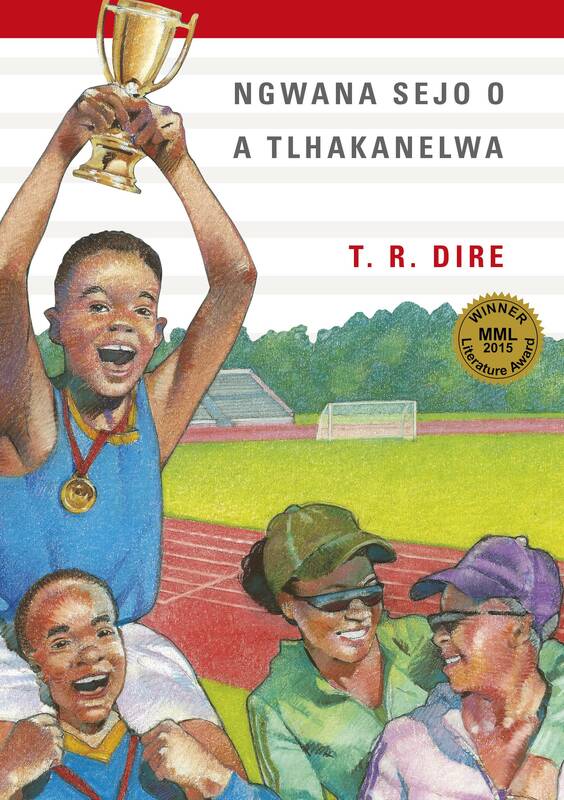 To sign-up for the Nal’ibali reading-for-enjoyment app download Mxit on your phone at m.mxit.com. Go to Apps > Search > Nalibali. For more information visit www.nalibali.org or www.nalibali.mobi.